Pittsburgh, PA – Premier Innovations Group is proud to announce that Clique Vodka has partnered with Canadian spirits importer Kamex Imports. They will start distribution within the next couple of months in select areas. Premier is also well underway with their expansion into Puerto Rico alongside partnered company PRGM Distributors Inc.
“These are two key markets from which we have received an immense amount of interest in our product. We look forward to bringing the Clique Vodka lifestyle to these new areas and really making our presence known. Not only is Clique Vodka an internationally imported product of premium quality, but now an internationally distributed product as well.” said Frank Bachurski, Vice President of Premier Innovations Group. Expanding into Canada has been a major goal for the Premier team in 2014 and to see that partnership come to fruition is exciting. Finding the right distributor to partner with is a delicate process and working with Kamex Imports has proven to be a great partnership. “Kamex Imports Co. is very excited to announce the distribution of Clique Vodka into Canada. This cutting edge brand is going to revolutionize the vodka experience in our country.” said Kamil Lech, President of Kamex Imports Co. Continuing Clique Vodka’s growth into Puerto Rico has been a strong sign of brand growth and recognition. “For us, Clique is changing the game of the vodka industry in Puerto Rico. We are now providing an excellent tasting product for a value driven price. People are taking notice of Clique Vodka and they know we are hitting the marketplace strong.“ stated Anabel Colon Reyes, General Manager PR of INTL Freight Consultant, Corp.
International distribution has been a goal for Noah Cohen and his team since Clique Vodka was launched in 2010, and getting there has been a company victory. With this expansion, it will allow the brand to move into even more areas and gain a larger foothold in the spirits market. 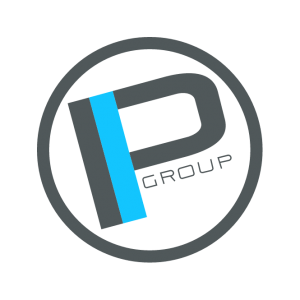 Premier Innovations Group is a importer that develops label brands and penetrates markets with in- house fusion of viral event-driven entertainment, art and design. Premier has a global network conducive to beverage product distribution, development and logistics with full importing and exporting services. Premier provides these services to other companies that wish to develop brands that complement its portfolio. Clique Vodka announces that they are now the exclusive supplier of Latvian Vodka for Redi-2-DrinQ™/ShotPak STR8UP® brand initially, and eventually moving into the ShotPak products as well. “As a leader in the ready-to-drink beverage market it was a natural choice to partner with a premium European vodka brand like Clique”, said R. Charles Murray, Chief Executive Officer of PPi Technologies Group/Redi-2-DrinQ Group. Redi-2-DrinQ™/ShotPak is distributed in 20 states, allowing both companies to increase their reach together. Clique Vodka is intricately crafted in the beautiful Baltic Region of North Eastern Europe by fine vodka Artisans in the country of Latvia. Clique combines Baltic production standards with multiple column distillation and the highest level of Baltic equipment. The natural spring water of the Latvian forest sets Clique apart with incredible body texture and smoothness. Clique combines the waters of Latvia and the finest premium wheat/rye grains grown in Europe. The end result is a product that cannot be matched in quality and smoothness anywhere in the world. Gold Medal – 2012 SIP (Spirits International Prestige) Awards. International Spirits Competition Gold Medal – 2012 Los Angeles International Wine & Spirits Competition. Silver Medal – 2012 San Francisco World Spirits Competition. PPi Technologies Group/Redi-2-DrinQ Group contract- packs beverage pouches at its’ billion- pouch capacity plant and markets StandUp Pouch Machinery, as well as End-Of-Line systems from Sarasota, Florida. As the grueling East Coast weather has finally settled down, we find ourselves building a strong momentum of growth once again. The second quarter boasts amazing potential, as we focus on relentless execution of our 2014 goals that we set in our late December holiday party. We have experienced an incredible quarter and are on track to accomplish our goals. The beauty of these wins is that they change the business dramatically and permanently. Our business is a perfect puzzle and 2014’s pieces are coming together to bring the Premier model and vision to true reality. We have all been working non-stop intense hours. I like to say that I go home every evening after a long day at work for the night shift, where we accomplish and supervise shipments and micromanage new government approvals as well as prospect and cultivate new deals over seas. This distribution model will give us a huge Clique Vodka pipeline and the new SKU’s will create better shelf presence and give our distributors more option for larger, diverse orders. These wins will dramatically increase our revenue. Domestically, we have been building our reach within California after our initial delivery last year, and now have sold to a distributor for launch in New Jersey and Connecticut. This last month, we have been hitting the domestic landscape hard and we have potential deals with distributors pending in New York, Florida, Tennessee, South Carolina and Georgia. We also have shipped our first container of raw vodka to PPI Technologies in Tampa to start Clique Vodka’s partnership in PPI’s ShotPaQ drink beverages that are distributed around the world. This is a huge win for us. Internationally, the first container to Puerto Rico is at sea and on its way. Nigeria is about two weeks away from final government approval and we expect to deliver in the second quarter. Canada, Spain, Brazil, the United Kingdom, Latvia and China are also in negotiations, with Canada being on the forefront. It definitely looks promising that we will be in several of these areas within the second quarter. Many other areas are being prospected at the same time. Interest is heavy internationally. Once again, we have been focused on raising funds to complete these new inventory goals. We have had good success in the last few months with this. We can attribute these strong fundraising efforts to the addition of a new financial investment manager Mike Salovay who came on board in December. Many new investors have joined in on the potential for huge returns in this exciting industry. Feel free to reach out to us if you have interest or would like to see the exciting investment opportunities available at Premier. This industry is all about mergers and acquisitions. We need to constantly spend on our infrastructure so the larger companies can take notice and bridge a brand sale. This has been the model of Premier from the beginning. We can use the same distribution model we build this year to pump future brands in and sell them as well. With all of the expansion and the new SKU’s coming in, more investment is inevitable for 2014. If we hit our goals for 2014, Clique will be well on its way to a brand sale. We look forward to Clique having a complete line with a large growing distribution model while penetrating the landscape. In closing, I want to take a minute to express how proud I am of our Premier team, who have stuck with our business and continue to give it their all every day. Without them we would be nothing but an empty shell. We also realize that our success is coming from the support of you, the public, who continue to purchase our product and socially interact with us. We want to thank you for your support and as always, encourage you to get more involved with our journey in any way as our door is always open. I want to end as I always do, by wishing everyone safe and responsible consumption of Premier’s finest spirits. Pittsburgh, PA – Premier Innovations Group is proud to announce that Clique Vodka has partnered with distribution company Selective Spirits, based out of Los Angeles, California. Clique will be available for distribution in most Wine & Spirits stores in the greater Los Angeles area. Selective Spirits main focus has been the distribution of tequila brands until recent. Clique Vodka will be its first vodka brand to promote and sell to its already vast customer base. Selective Spirits currently distributes its portfolio of brands to hundreds of Los Angeles area Wine & Spirits stores. This will mark one of a number of recent exclusive distribution partnerships for Premier Innovations Group. For additional information, contact: Lauren Norris, Premier Innovations Group – [email protected]. The holiday season is upon us once again. It’s hard to imagine how fast time has passed, as we progress forward in a whirlwind of action and teamwork. Currently, we are experiencing our most lucrative period now with Black Friday and Thanksgiving behind us. Holiday celebration is a time that all spirits companies look forward to. For Premier, we have much to be thankful for this season as we anxiously approach the new year. We have had an explosive foundation-building year to date. It has been filled with accomplishments along with a learning curve that took focus and patience, coupled with strong team unity. Many of these projects will come to fruition next year, as we laid the necessary groundwork during 2013. This groundwork will change the industry and the quality of life for our company. For those who have followed our successful climb towards fiscal stability and the diversification of our model, it is apparent that we had a lot to learn. Together we all made the decision to start our entire program over again with our flagship product, Clique Vodka, at the beginning of 2013. It has not been an easy journey and it took considerable investment and struggle to get “the new black” in a momentum phase once again. Coming in and introducing something new that has never been done before is a humbling experience. Our team has been patient and has given 110% while the expansion of our distribution model has been the focus. We are proud to say we made considerable expansions and grew deep roots, while keeping culture, ethics and company philanthropy on the forefront of our movement towards worldwide recognition, market integration and penetration. We want to highlight to the public the wins that took place as it is easy to see that we are on an amazing path. Domestically, our focus has been on expanding throughout the United States in tandem of our Total Wine & More partner stores, with distributors that can drive sales where we already have a presence. We have done this in California and have signed a broker agreement for Texas and Arkansas distribution. Sales in Pennsylvania have been thriving and Ohio and West Virginia remain a focus, as we continue to build brand recognition in these territories. Events all over the country have spurred interest in almost every state and major city and we are currently seeking our best distribution partners to stimulate expansion. In 2014, new distribution contracts will be signed, catapulting multiple states with access to our products in many on and off premise outlets. The international front has been our strongest focus as we target key international territories where vodka is on the forefront of growth and popularity. Contracts in five Asian countries, Central America and Nigeria have been signed. Many contracts in other new countries are in progress. We will announce these in the first quarter of 2014, as the agreements are solidified. Although Puerto Rico is considered domestic, we are categorizing it as an international expansion considering its nature, size and distance. All approvals are done and Clique Vodka will soon hit the Puerto Rican market, with heavy distribution outlets backed by international Latin talent superstars. We are proud of these wins and look forward to them translating as strong revenue builders. It is also important to highlight that we have had extreme interest in importation of other brands that we will not be participating in ownership or distribution. Instead, we will provide logistics and importation services into the United States. Several partnerships for our services are in contract and will also generate significant revenue in 2014. It is imperative that we expand into the development of several new brands that will also be announced throughout 2014. Creative concepts for at least three new brands in all genres of the growing spirits market have been solidified. Investment partners are coming together for the new ventures. I’d like to also highlight that Clique Vodka will also be expanding with multiple SKU’s. Flavors will be on the market for 2014, adding diversity to our already successful vodka brand. Other announcements new for 2014 are a 1.75 liter bottle becoming available in the United States market along with a one liter option internationally for Clique Vodka. Multiple products are the key to our Premier Innovations Group model coming alive. As we wrap up another holiday season I want to make an exciting announcement as an effort to remind everyone to be responsible while drinking, remaining on the forefront of corporate and social responsibility. Premier will soon be announcing a sponsorship set for New Years Eve locally, to provide transportation provided by Clique Vodka to the public. More about this will be announced in the very near future. It will be our way of saying thank you to all of you, for buying, supporting and caring about our journey together. Once again, I’d like to end this message as I always do. On behalf premier we want to thank all of our supporters and remind you to get even more involved and drink Clique intelligently and Don Pantaleon dubiously this holiday season. Clique Vodka gears up for distribution in select Asian markets. Pittsburgh, PA – Premier Innovations Group is proud to announce that Clique Vodka has partnered with OWimex Spirits. Clique will be available for distribution in Cambodia, Korea, Laos, Thailand and Vietnam. OWimex prides itself in promoting American-made goods and assists local businesses to enter the international market. OWimex Spirits is a division of OneWorld Imex (Owimex) Inc, which exports agricultural commodities such as soybean, corn oils and select consumer goods to Asia. The Owimex spirits business is managed by two partners with a joint experience of 40 years in international trade and product development. Cohen’s vision for Clique Vodka as an international brand becomes stronger with OWimex, a company aligned with Premier in terms of corporate values and culture. This will mark one of a number of recent exclusive distribution agent partnerships for Premier Innovations Group, creating a broad distribution outside the United States. Pittsburgh, PA (August 22, 2013) – In addition to Clique Vodka’s success in the past nine months with its launch of a sleek black bottle and national expansion with Total Wine & More, Premier Innovations Group is now developing its vodka brand into niche city markets across the country. Private distributor agreements are being finalized and will be announced in the upcoming weeks. The first major city within Ohio that is now selling Clique Vodka is Cleveland. Currently, Premier Innovations Group is using its own infrastructure for Ohio sales, however, the plan is to team up with a distributor in the near future. Supermarket chain Giant Eagle, along with locally owned wine and spirits stores, are carrying Clique Vodka in the top selling locations in the Cleveland and Youngstown markets. Premier Innovations Group is a multi-faceted alcoholic beverage importing Umbrella Corporation that develops internal private label brands while penetrating markets with in- house fusion of viral event-driven entertainment, art and design. Premier has a global network conducive to beverage product distribution, development and logistics with full importing and exporting services. Premier also provides these services to other companies that have or wish to develop brands that can complement our portfolio. Pittsburgh, PA (June 21, 2013) – With the successful momentum Premier Innovations Group is having with its flagship brand, Clique Vodka, a decision was made to pursue adding another brand to its portfolio. Chief Executive Officer, Noah Cohen, is traveling oversees to France and Switzerland in the search for the perfect formula for a new liquor brand set to launch this fall. His three week trip includes visiting multiple factories to test new recipes, as well as stopping in Latvia at Clique Vodka’s facility to continue strengthening our global relationship we have already established there. Clique Vodka has proven that it is able to compete in the ever-growing vodka industry and is taking its much deserved market share. It is now time for Premier to launch another brand in the liquor industry to continue the successful formula of marketing a new brand on the national and global level, continuing to make a name for themselves in such a saturated market. For additional information, contact: Lauren Norris, Premier Innovations Group – [email protected]up.com. Pittsburgh, PA – In adding to Premier Innovations Group’s extensive growth, they are proud to announce their most recent partnership with Riley Shea, LLC. Riley Shea is dedicated to the sales and marketing of fine wines, spirits, consumer goods and other specialties to the military market across the country. Effective June 2013, major naval bases in California, Florida and Virginia will be selling Premier’s top brand, Clique Vodka. Premier is focused on expanding their distribution to many other naval bases and military units, while strengthening their partnership with Riley Shea in the process throughout 2013. Time is flying by and the summer is here again. It has been a complete whirlwind since my last message, when we were just rolling out the new black bottles of Clique Vodka in late January. Now, several months later we have had some significant time to see its early magnitude in the industry. We continue to grow, learn and watch as the dramatic facelift spurs positive explosive change, interest and feedback. Our business is coming alive and blossoming like the trees we see around us this summer. Like our Premier culture, it is strong roots that keep those trees blossoming and healthy, changing and growing each season. Our root structure is the Premier business model that is forming and growing stronger, maturing underground. Not for long will our roots be underground, as an announcement to expand and acquire a new brand of distilled spirit will hit the press soon. It is a move that will change the industry and of course the quality of life for our Premier family. It will represent a strategic partnership that will change the game and define and foreshadow the power of a portfolio building, global import export alcoholic beverage brand builder. As we prepare to source a new brand, I’m proud to announce that this week I leave for Switzerland followed by the visitation of our current partners in the Baltic’s. It is so important to us to keep our relationships strong globally, as we focus on new ventures together. Currently, our total team commitment is on the continued growth of our distribution model. We are just now starting to experience the strong expansion and interest out there for Clique. The strength and conviction of our product packaging has brought many new deals our way. Now we look to show the amazing value to the world. Growth of sales in Pennsylvania and West Virginia have been strong as Philadelphia has become a major focus. Total Wine & More’s presence has done wonders for exposure throughout the U.S. In the next few months, we will be announcing the launch of three new major city markets in the U.S. for us in distribution. These areas represent the hotbeds of the trends. Many countries have been sampling, getting import permits and signing agreements to distribute our fine product as a new addition to their portfolio. These deals will be announced to the public in the next few months as well as we move closer to fiscal stability with strong inventory holdings. Here at Premier, we remain humble and thankful for all of our amazing support that is currently so abundant. Our door is always open to help from anyone that wants to be part of our amazing movement. Your interest and support that grows dramatically every day is the reason for the success we are experiencing. We are thankful to our investors, partners and consumers representing the lifeblood of our fine company. Please continue to participate as we create action and give you more to be proud of this summer. I’m proud to say I feel we have done all we can to show everyone around us in the community that we care. Our focus on corporate and social responsibility continues as we sponsor hundreds of charities. For us to keep moving up, we must ask for one more thing from our consumer friends. Please realize that moderation and responsibility are the keys to Premier longevity. The summer has so many opportunities to be outdoors enjoying a refreshing Clique or Don cocktail. Many of these great recipes are posted in our new Clique Vodka online Mixbook. That being the case, as I always end, I want to remind everyone to remember to Clique intelligently and drink Don dubiously this summer. Tito’s and Jose Cuervo owners are now spirits billionaires.